OSD Audio’s WRSK250 2.4GHz Wireless Speaker and Subwoofer Kit is a great way to bring 5.1 surround sound to your family or media room without having to run speaker cables from the receiver/amp to the rear channels and powered sub. 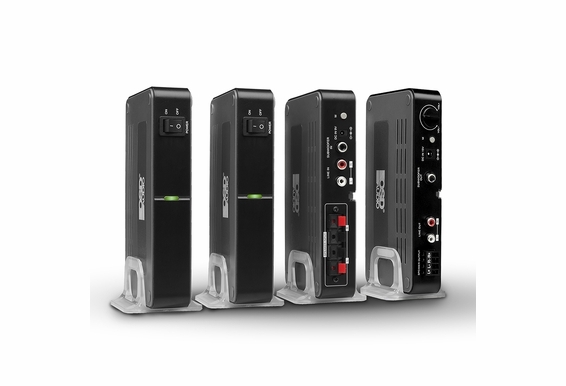 Compact and easy to install, the kit includes a transmitter and receiver that sends the audio signal from your amplifier/receiver to the rear speakers and powered sub via the 2.4GHz frequency. Now you can enjoy spine-tingling surround sound and heart-pounding bass without having to tack speaker cable around doors and along floor boards or snake cables through the walls or crawlspaces. 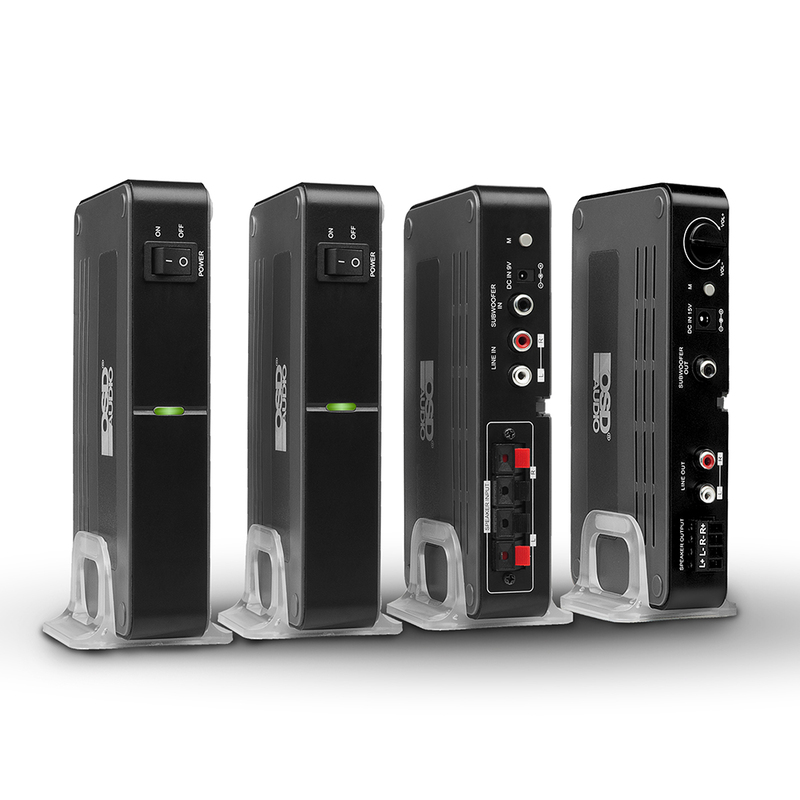 What Are the Advantages of Wireless 5.1 Surround Sound? There’s nothing like watching a movie or playing a video game in 5.1 Dolby or DTS surround sound. To enjoy true 5.1 surround sound, your speaker array should include right and left front speakers to handle music and sound effects, a center channel speaker for dialog, two left and right rear speakers for surround effects and, of course, a subwoofer for bass. 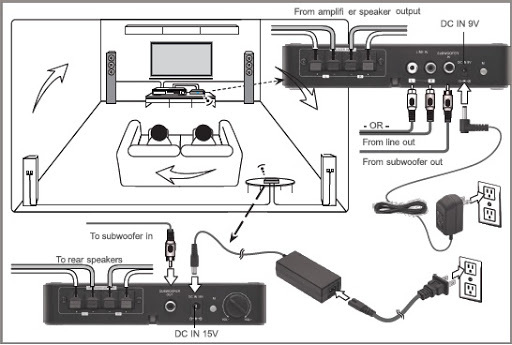 Connecting the front channel speakers is typically not a problem because in most home theaters the front speakers are located near the receiver/amp. The rear speakers, however, are typically located behind the listeners and the subwoofer may need to be placed in a corner or other optimal location, depending on your room’s acoustics. This means running speaker cable either along the baseboards or snaking the cables within the wall or underneath the floor, which is not always possible especially for renters. An easier and often less expensive solution is to go wireless. How Does the OSD Audio WRSK250 2.4GHz Wireless Speaker and Subwoofer Kit Work? 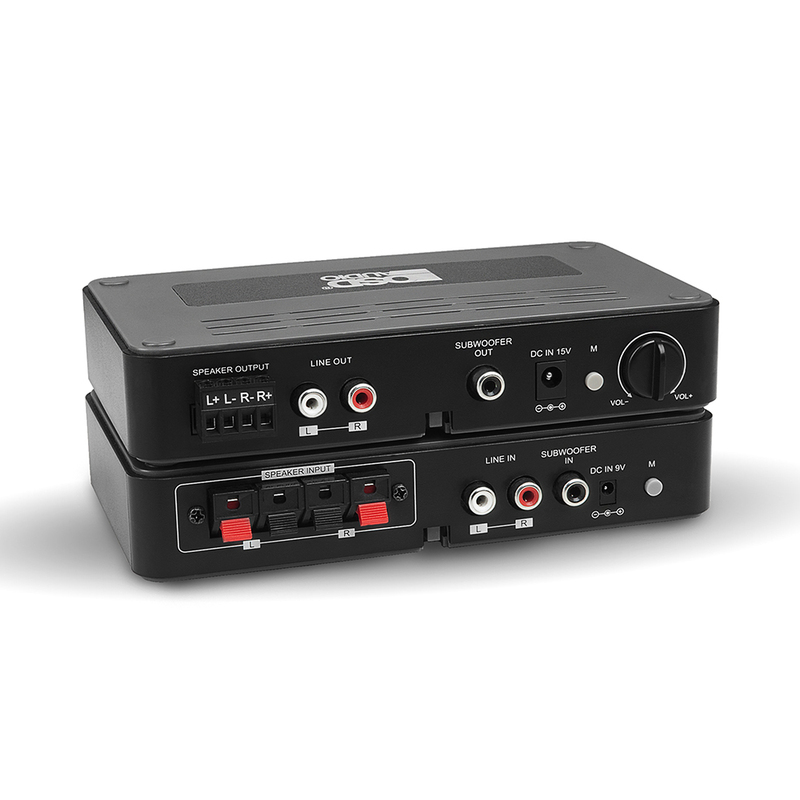 The WRSK250’s transmitter connects to your home theater amp/receiver with RCA cables and plugs into a standard electrical outlet. 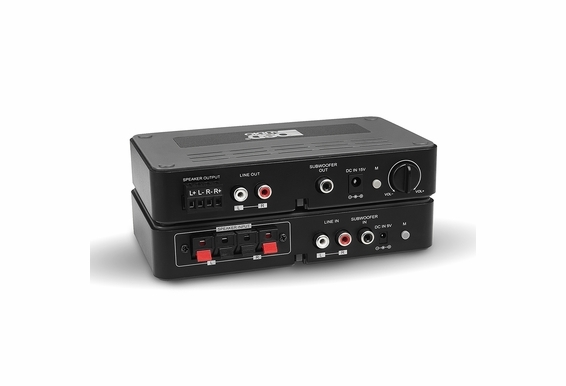 The WRSK250’s receiver connects to the surround speakers via speaker cables (included) and to the powered subwoofer via RCA subwoofer cable (not included) and also plugs into a standard electrical outlet. The transmitter then sends the audio signal to the receiver over the air via the 2.4GHz frequency, the same reliable frequency used by cordless phones, routers and other wireless devices. Because most households have several other devices operating on the 2.4GHz frequency, the WRSK250 includes 34-selectable channels so you can dial in the most reliable and steady signal. While the 2.4GHz frequency works best line of sight, it’s not critical so you can hide the receiver/transmitter behind a sofa, inside a cabinet or even in another room. Keep in mind that while this is a wireless solution for transmitting an audio signal from a home theater system’s receiver/amp to the rear speakers and powered sub you still need to connect the speakers to the WRSK250 receiver via speaker cable. Compatible with most receivers, amplifiers and powered subwoofers with RCA inputs/outputs, the WRSK250 2.4GHz Wireless Speaker and Subwoofer Kit gives you more flexibility when designing your home theater system and relieves the stress over how to bury or hide the speaker cables. We invested a lot of time into the sound quality and integrity of our wireless rear speaker and subwoofer kit to ensure the device transmits a reliable signal with minimal latency or drops, and we back this kit with a 2-year warranty and a 30-day satisfaction guarantee. Dimensions (W x H x D): 3.9" x 6.9" x 1.6"
1. With the audio source off, connect the transmitter to the speaker and subwoofer jack with the RCA cable and speaker wire. 3. 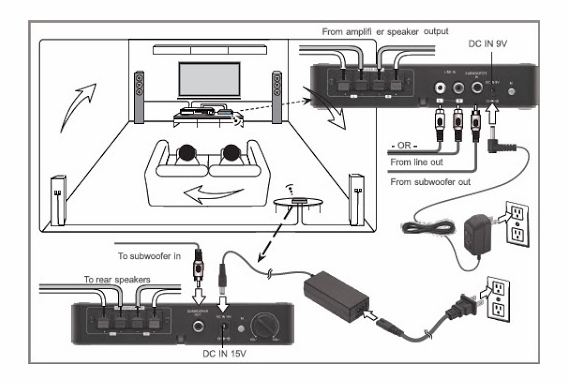 Connect the receiver to your speaker and subwoofer with the RCA cable and speaker wire. I have the transmitter connected to the surround speaker terminals. 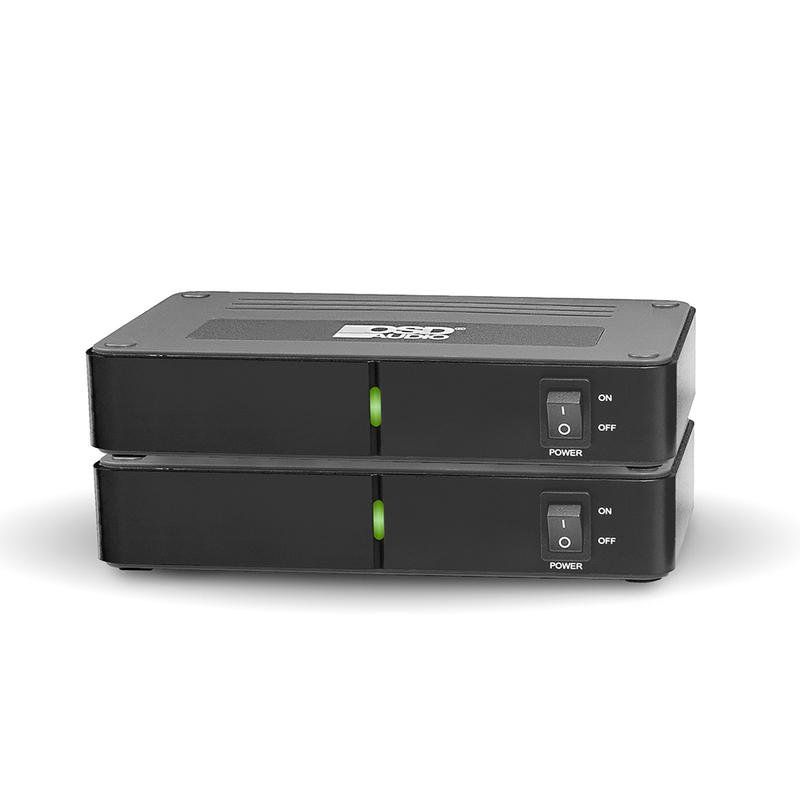 Both the transmitter and receiver initially have green lights on. When the music plays the transmitter light changes to blue but the receiver never changes from green and there is no sound. Is my room too big? 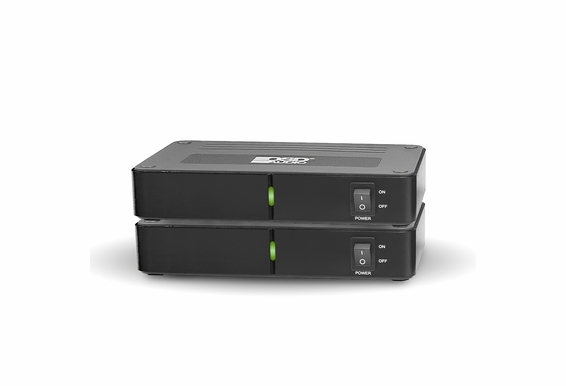 Can I use two transmitters to send audio to one receiver that powers a pair of speakers? If so, how can I order one transmitter? Hi - I have a Yamaha Aventage RX-A840. I would like to use the WRSK250 on the Zone 2 with up to four receivers which will be wired to Nano Mirage speakers. The subwoofer connection would not be used. Also, could you give me an idea of the cost of extra receivers? Thanks for your help. How can you call it wireless when there is more wires than just the one it takes to plug it into the the back of an AVR. Let me count 2 ac plug ins where are you going to find them in the middle of your back yard and then you have to wire the speakers to them and then there is water proofing. What a joke. I would spend the money on high quality speaker wire and spend the 1 minute to hook up. Hello, I want to setup multiple wireless surround speakers from my 5.1.4 channel receiver (Dolby Atmos setup), how many of these wireless amp kit can I use to replace my wired surround back channels (two stereo/four speakers total)? Thanks for the answer. Can this be used to transmit from a non powered mixer to powered speakers to make them wireless? Without a delay . Can this be used by a band to transmit from a mixer to the PA speakers? Can this be used just to put a speaker into another room from an amplifier instead of running wire to the speaker? Basically to make the external speaker wireless, rather than hard wired? What are the specs of the amplifier in the receiver unit? Watts, THD, etc. Can I use this device where the location of the "base unit" is in one room, downstairs and the"receiving" unit, in another room upstairs? I own (and love!) my WRSK50. If I buy another one to use in a room directly below the current one will they interfere with each other? Will these units work on 240 volts.